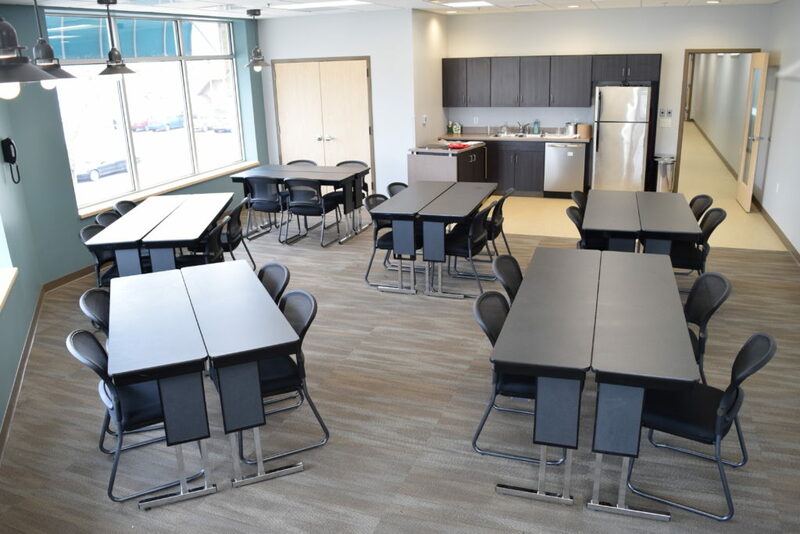 The Menomonie Market community classroom is a beautiful room located on the second floor of our building, with calming colors and large windows. It is a perfect space for a wide range of events and activities. The community classroom is used for MMFC classes, staff meetings, sponsored events, and is also available for rent to the public. Below you will find a link to the policies and more detailed information about room rental. If you’re interested in renting the classroom,or teaching at class at MMFC please fill out the form below, and Becca will be in contact. If you have additional questions or inquiries about the classroom, please stop in the store or contact Becca via email or phone (715) 235-6533 x220. Request a date and time for renting the MMFC classroom. Please read the classroom policies prior to completing this form. Requests are reviewed upon being received, and responded to within 3 days. *Completing this form does not guarantee use of the MMFC classroom. Are you interested in having your meeting catered?